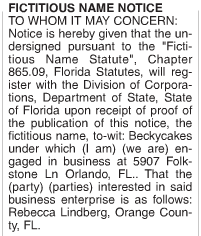 Requirement to get my DBA (doing business as) name is to publish a legal notice in the local paper. So here it is! Next step is to officially register the name!